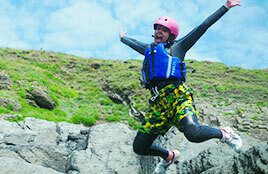 An experience where the sea, waves, rocks and gullies combine for high energy adventure. 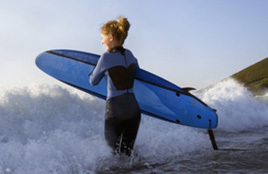 Fun filled sessions with qualified instructors that guide you along stunning coastal scenery. 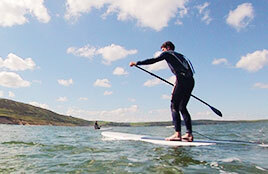 Try one of the fastest growing sports in the UK, SUP Boarding (Stand Up Paddle Boarding). 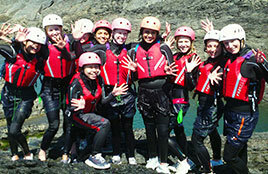 Arrange the perfect stag or hen party with H2Outdoor and include some fantastic adventure experiences. 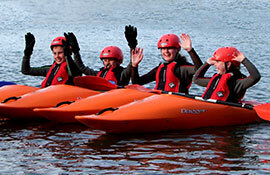 Combine any of our activities to create the perfect adventure package for you or your group. A fully AALA licensed provider of a range of adventure options from single day visits to full residential packages. Your Adventure starts with H2Outdoor. 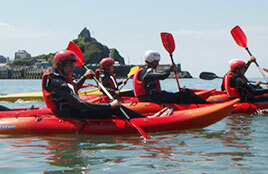 We are your gateway to an exciting range of water sports and outdoor activities all situated in North Devon. We specialise in providing unforgettable experiences by combining high quality activities with the outstanding natural beauty of this area. 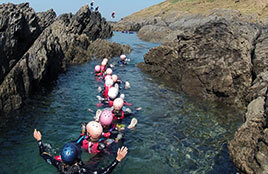 Coasteering, Kayaking, Surfing, Stand Up Paddle Boarding and Wild Swimming are just some of the activities that can be enjoyed with us on a single session basis or combined to form an exhilarating adventure package. Read more. We have a range of accommodation available for you and your group, from spacious bell tents to beach villas. Just let us know what you are looking for and your requirements then we can hook you up with the right places. View what is available on our accommodation page.